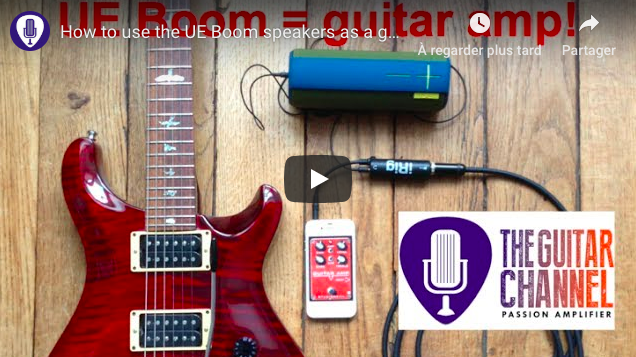 UE Boom guitar amp - Nowadays you can't enter an electronic store without seeing a plethora of Bluetooth speakers. Last month I was invited to a presentation of the UE Boom from Ultimate Ears, the speakers sounds really great especially seeing the relatively small size. I wondered how it would sound to plug a guitar in one and see if it can be used as a guitar amp. 2018 update: due to a recent firmware update by UE Boom, it's no longer possible to actually use this setup because a very audible latency has been introduced.